The number of patients with cancer in the US is growing. The National Cancer Institute estimates 1.6M new cases of cancer will be diagnosed in 2015, with the total reaching 22M within the next 20 years. This is not surprising since people are living longer and the risk of cancer rises with age; however, it does present a challenge for existing healthcare facilities to accommodate this increasing patient population. Using a mix of new construction and renovation, hospitals and designers are teaming up to create modern, patient-focused environments to improve cancer care and achieve optimal treatment outcomes. 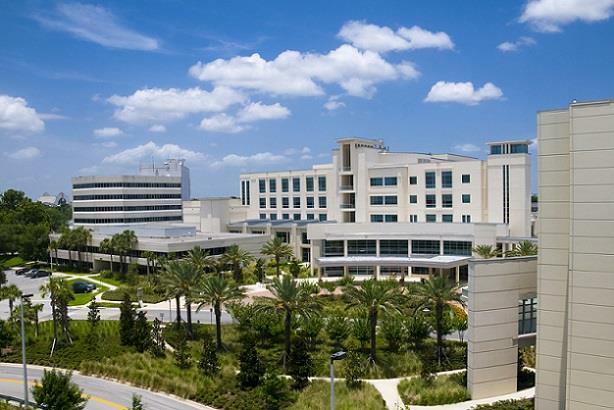 Instead of having patients travel from one building or campus to another to receive the diversified care they require, many organizations are adopting integrated, under-one-roof designs through renovation and/or new construction that enhance the overall patient experience. Furthermore, with direct access in one setting, specialists are able to collaborate more effectively with one another by “really centering their care on the patients” as described by Shannon Faulhaber, Cleveland Clinic’s Taussig Cancer Center’s Director of Strategic Growth. In 2014, Cleveland Clinic began construction on a $276M singular outpatient cancer center housing 126 exam rooms, 98 infusion chairs, 6 linear accelerators, a specific space for Phase I clinical trials, and expanded patient services including genetic counseling. Opened in August, UW Cancer Center at Prohealth Care connected their exam and consultation rooms, allowing for private meetings between providers, patients, family members, and multidisciplinary staff in a non-clinical space and proximity to loved ones should the patient need an exam. Eliminating this physical distance “recognizes that patients want to be close to their support system,” stated Pam Kleba, ProHealth Care’s Construction Project Manager. Carbon-ion therapy, a new cancer treatment that enables deeper and more precise targeting of cancer cells, utilizes 600-ton gantries that are ~40 feet in diameter and ~60 feet in length. It also requires a space with ceilings higher than 60 feet to accommodate complete equipment rotations and a maintenance hatch. While progress is being made toward more compact versions of carbon-ion therapy systems, strategic space planning is a must in the interim. As per Dyutima Jha, Kahler Slater’s Director of Research and Healthcare Planner, “humanizing complex environments that are governed by state-of-the-art equipment in addition to balancing the rigidity of technology with design features that signify life and hope should be the goals moving forward.” Comforting design elements such as natural light, interior gardens, and other sights/sounds of nature are all possibilities for making spaces more therapeutic. Within the treatment rooms themselves, positive imagery on the walls and ceilings can serve as effective distractions for patients. The 2015 Modern Healthcare Design Gold and Silver Awards both went to cancer centers (Memorial Sloan Kettering Cancer Center and St. Charles Cancer Center, respectively). Memorial Sloan Kettering Cancer Center, a $75.3M, 102K sq. ft. renovation project, has sunlit rooms, décor themes inspired by the local community, flexible design options such as removable partitions in some areas, regularly rotating artwork, and a prominent staircase in the lobby for patients to use as a way to “affirm their wellness,” stated Mary Frazier, a principal with project designer EwingCole. Medical equipment is kept out of sight whenever possible. Additionally, patients using chemotherapy infusion chairs have clear views of the outdoors as well as nurses’ stations and access to technology for ordering food, contacting a nurse, watching a movie, and adjusting lighting. St. Charles Cancer Center ($10M, 24K sq. ft.) brings previously separate radiation and medical oncology services under one roof with both new and renovated construction. ZGF, the project designer, led two 3-day planning sessions with physicians, nurses, support staff, and administration to discuss and confirm the patient centricity as well as efficiency of the new facility’s layout. The project also took full advantage of its natural surroundings in Bend, OR with extensive landscaping considerations and views of Pilot Butte, a nearby dormant volcano. Weather permitting, patients may receive chemotherapy infusion treatment outdoors and enjoy the scenery of the Cascade Mountains.